Q: do you make calif trailer plates? if ao can it say anything also? 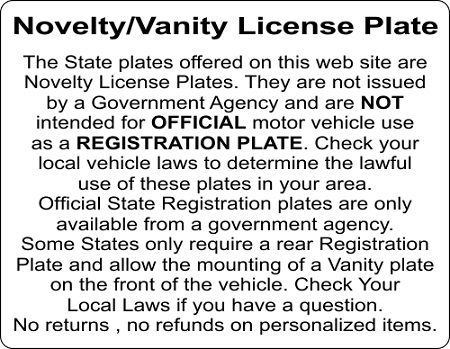 A: We do not offer a CA Trailer Specific Plate. 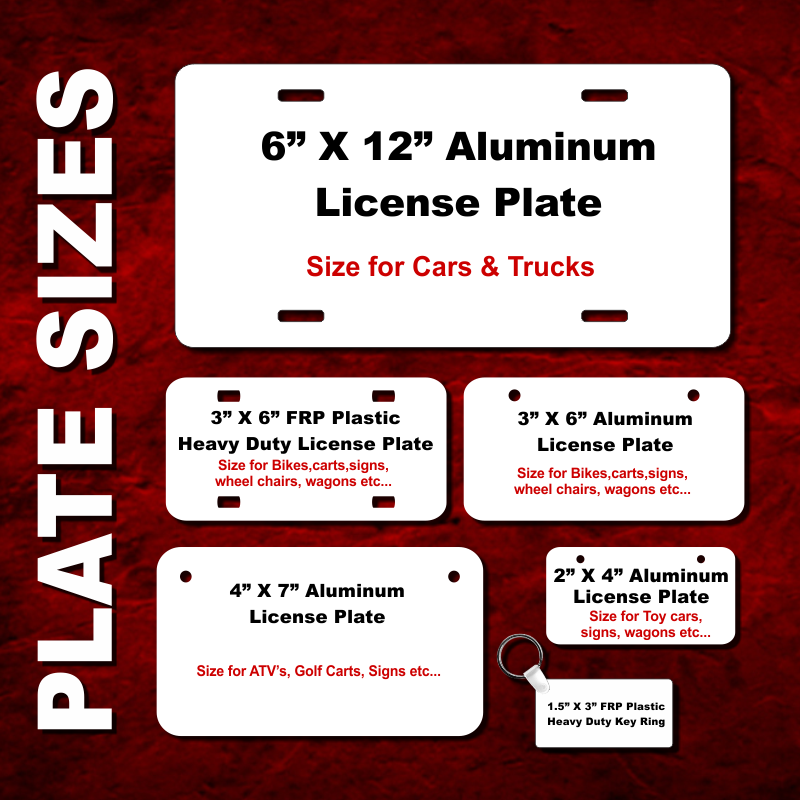 As these are Novelty items, souvenirs, we do not get a lot of request for Trailer Plates. If you would like to design your own plate, we do offer a FREE online design tool at our sister site www.teamlogodesigner.com where you can design any plate you want, online in real time without any set up fees.